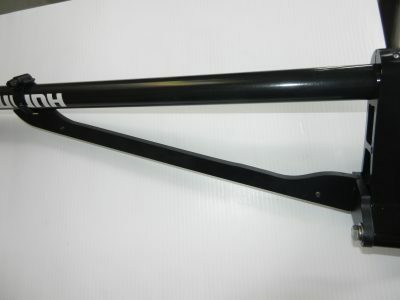 BACK IN STOCK !! 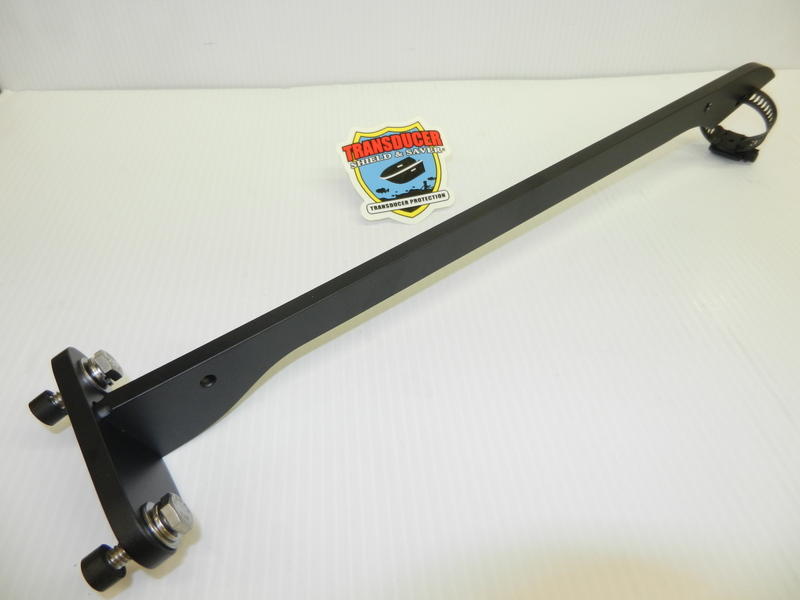 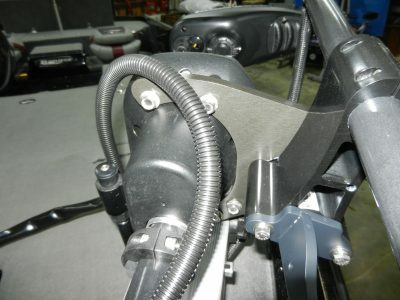 Item # 360 Stabilizer to stabilize the Humminbird® 360 Imaging on a Minnkota® Ultrex trolling motor. 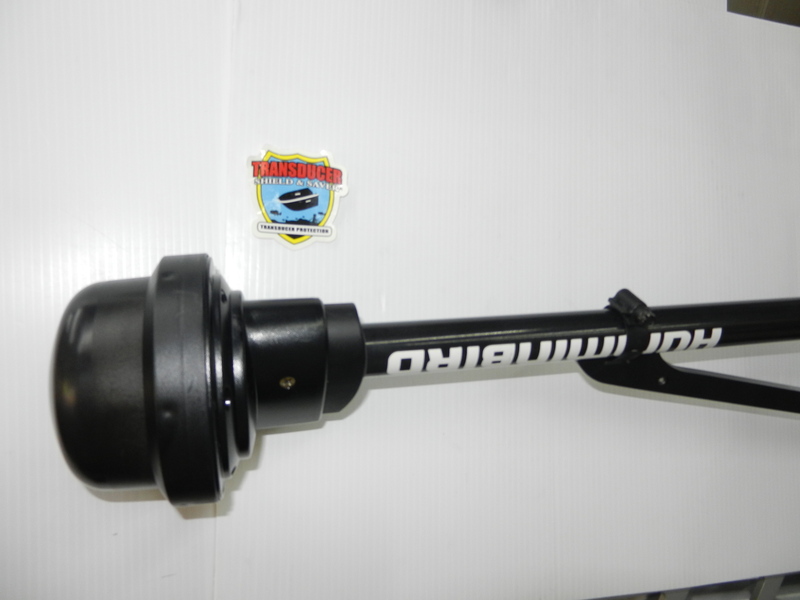 It is built in 5/16 aluminum alloy and black powder coated. The total length is 15-1/2″ and attaches to a Humminbird® 360 Imaging on a Minnkota® Ultrex Trolling Motor. 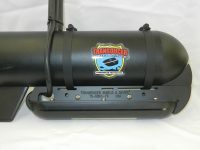 The purpose of our 360 Stabilizer is to: (1) reduce vibration of the Humminbird® 360 when the boat is up on plane and going through rough conditions (2) reduce the chance of breaking the Humminbird® 360 shaft when the transducer comes in contact with underwater obstruction (3) adds support to the Humminbird® 360 shaft and reduces flexing (4) reduces vibration to the 360 transducer when the trolling motor is deployed in the water and in trolling mode, and (5) enhances the structure definition on the fish finder. 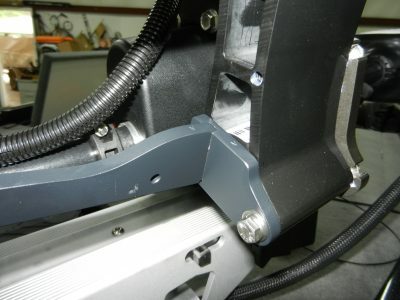 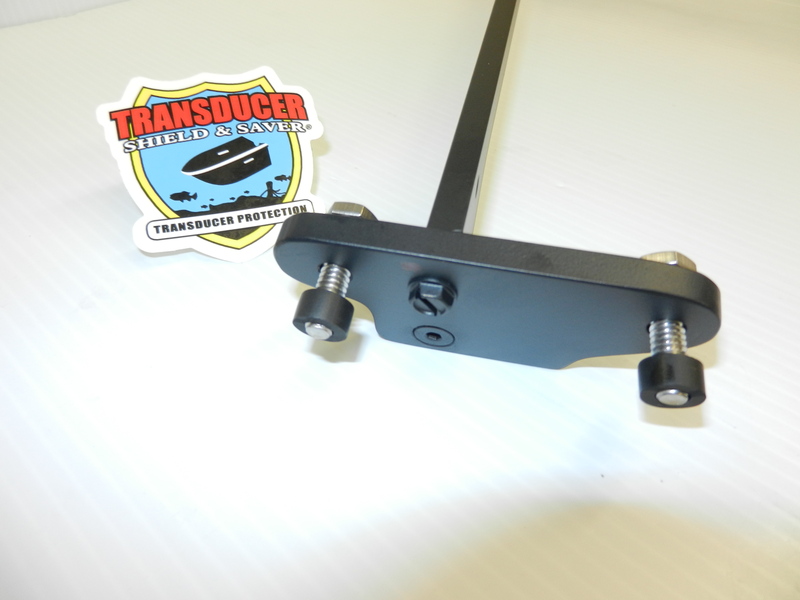 Simple installation: attach our 360 Stabilizer base bracket to the existing holes in the Humminbird® 360 mounting bracket and clamp the end of the 360 Stabilizer to the Humminbird® 360 shaft.